* The lowest price applies if you book more than 30 days in advance. - It'll be just You alone or with the people You know. and focus on the places You want to see most! - You must be 18+ to enter the Zone. - Make sure to fill in your FULL NAME and FUL SURNAME into the registration form, just like written in your passport. Include all spaces, all capital letters, special symbols and figures if present. - Bring Your passport with You. This should be the passport You used to register for tour! You will not be allowed into the Zone without it. - Long sleeves, long trousers and closed shoes are mandatory as a safety precaution. - If You don't show up for tour without notifying us in advance, refund is not applicable. 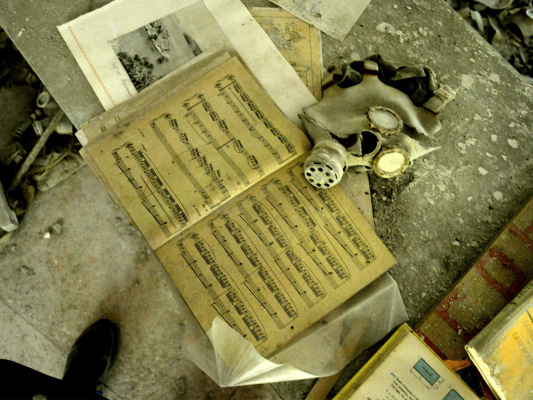 · Pripyat – the ghost city. It was a young but a very fast-growing population centre. Almost 50 000 people of 25 nationalities lived there by the night of the accident. Today it's a maze of deserted streets and crumbling buildings. · The amusement park and the legendary Ferris wheel – a gloomy landmark that everyone wants to photograph. · The Power Plant itself. Following a massive accident inside Unit 4 and a series of other accidents, Chernobyl Power Plant was shut down completely on December 15th, 2000. · The huge New Safe Confinement which was installed over Unit 4 in November 2016. It weighs 36,200 tonnes and can easily cover the Colosseum in Rome. Enjoy full program: visit numerous fascinating restricted-access sites, and head home with a lifetime's worth of impressions. 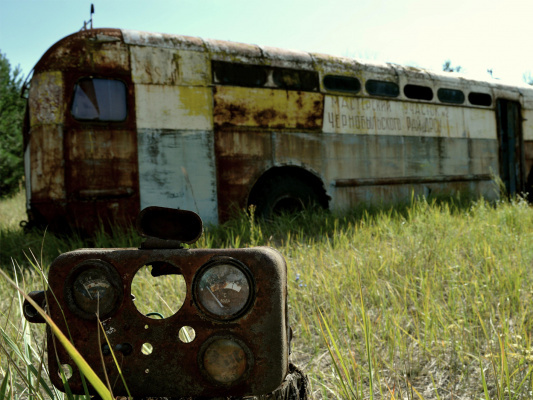 Opt for a private or group tour: Let us know whether You'd prefer to visit Chernobyl with random new acquaintances or just with Your friends. Would You prefer just a standard trip or a unique route with any specific places You wanted to visit? Do You want to see a bit of everything or focus on any certain location for most of the day? We'll find an option that suits You best! A Group Tour includes: group gathering at departure point, insurance, an English-speaking guide and an authentic "atomic lunch" at a Soviet-style canteen! A Private Tour includes: pick-up and drop-off to/from any location within Kyiv, comfortable for You, insurance, an English-speaking guide and an authentic "atomic lunch" at a Soviet-style canteen OR a modern-style restaurant meal which we will provide exquisitely for You. 1. 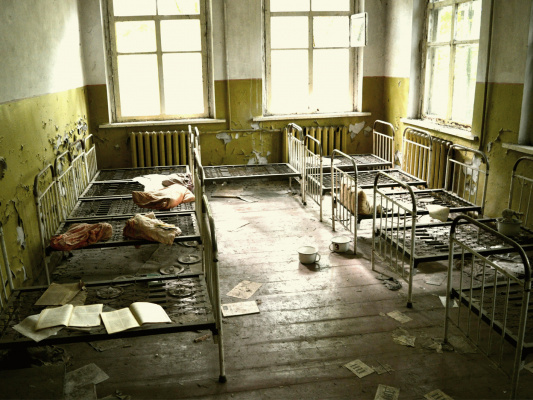 Chernobyl disaster took place on the night from April 25th to 26th, 1986. 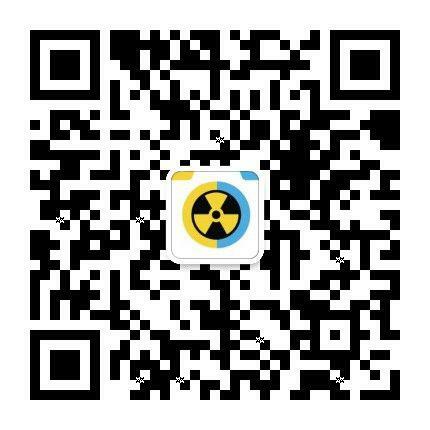 Among countless other consequences it resulted in the evacuation of roughly 600,000 people, because of an explosion inside Unit 4, and long-term contamination effects to surrounding lands. 2. 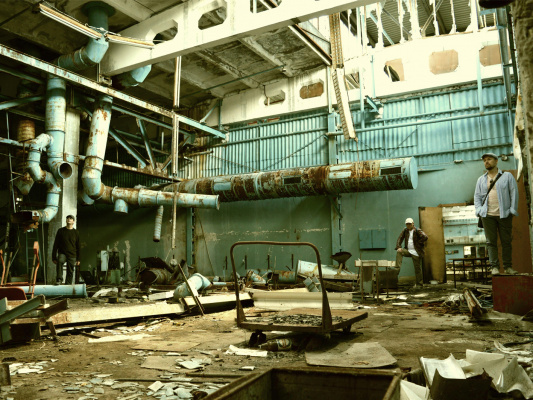 The town of Pripyat, located two kilometers away from the Power Plant, is one of ten most environmentally contaminated cities on Earth, according to Blacksmith Institute. Today only tourists and “Stalkers” (illegal thrill-seekers) go there. 3. Nearly all metal components for the “New Safe Confinement” (the second sarcophagus) were produced in Italy. Structure includes around 500,000 special bolts. 4. 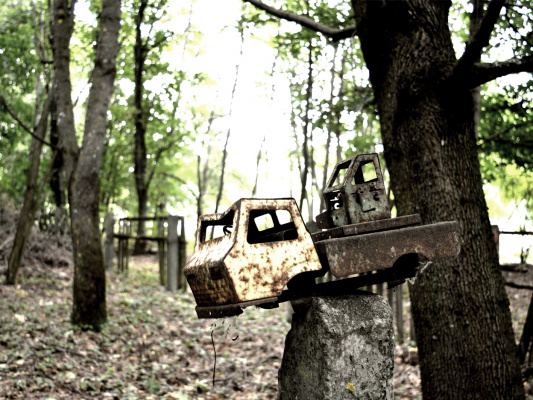 Chernobyl Exclusion Zone covers around 2,600 square kilometers, an area comparable to Luxembourg. 5. 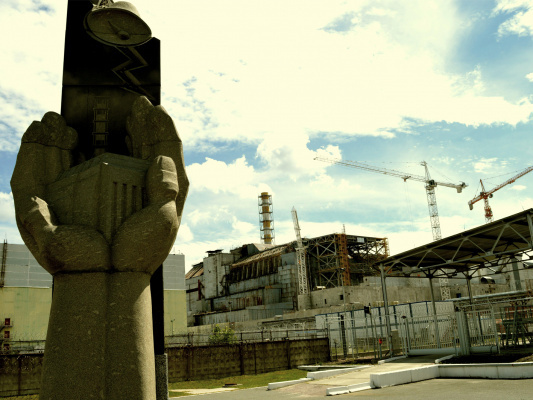 Disaster of 1986 lead to radioactive fallouts not only on the territory of the Soviet Union, but across Central and Western Europe. 6. There is a secret military installation in the Zone, known as “Duga-1”. 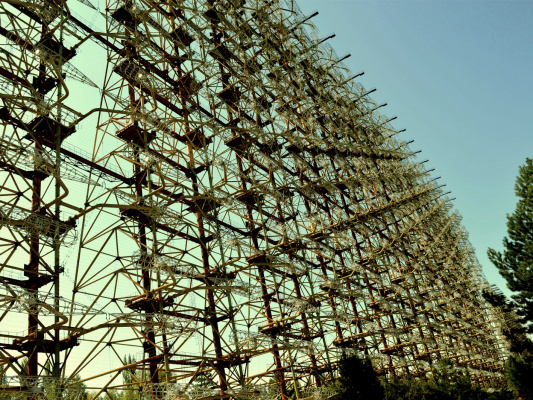 This gigantic radar was part of USSR's nuclear strike defense system. It measures 700 meters across and 148 meters tall in its tallest point! 7. 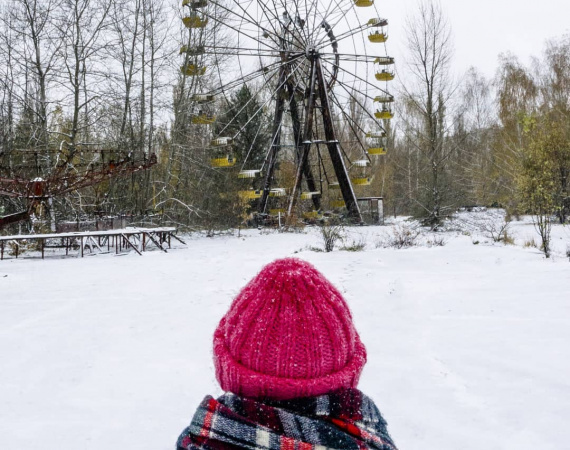 In 2017, Polish extreme adventurers manually span the Ferris wheel at the amusement park in Pripyat, first time in 32 years, and turned on lights in certain buildings. 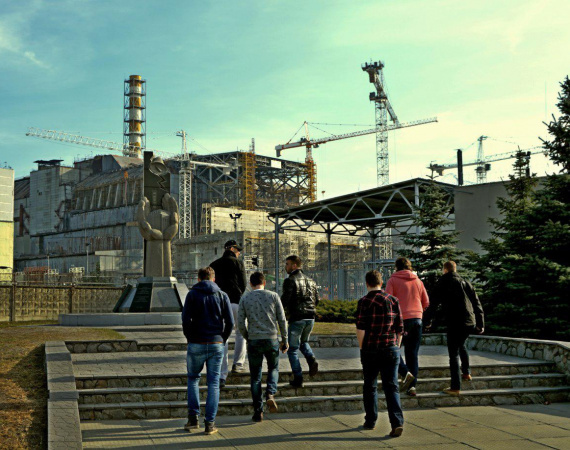 Whether You're motivated by a passion for delving into history, or by a longing for extreme adventures, this Chernobyl tour will just make You want to keep going. Adventure Tours in Ukraine guarantees You will come back with a great deal of impressions that will last a lifetime. Register now!